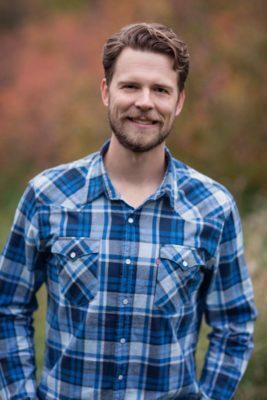 Born and raised in Alberta, Dr. Isaac Day received his Bachelor of Medical Science and his Doctor of Dental Surgery at the University of Alberta. During his time at the university, Dr. Day received two prestigious awards: The Tim Woolley Memorial Scholarship, awarded to the student with the highest GPA entering dental school and the Dr. Thomas J. Marrie award in dentistry, awarded annually to the graduating dental student who demonstrated the best chair side manner, empathy, and respect for patients. Before founding Day Dental in 2012, Dr. Day enjoyed a variety of dental experiences from a cosmetically driven practice in Edmonton, to treating the complex needs of the inmates at the Bowden prison, to a more family-friendly clinic in Olds. After learning from and appreciating these very different areas of dentistry, Dr. Day and his family decided to found Day Dental. In 2005, Isaac married the love of his life, Amy, and they are proud parents of six children. Isaac and his family live in Innisfail and are very happy to be active in the community. Isaac recently completed a two-year term as a member of the Community Services Standing Committee In Innisfail. In his spare time, he enjoys volunteering as a Brazilian Jiu-Jitsu (martial arts) coach for children in Penhold.